Why contribute your data to PubChem? 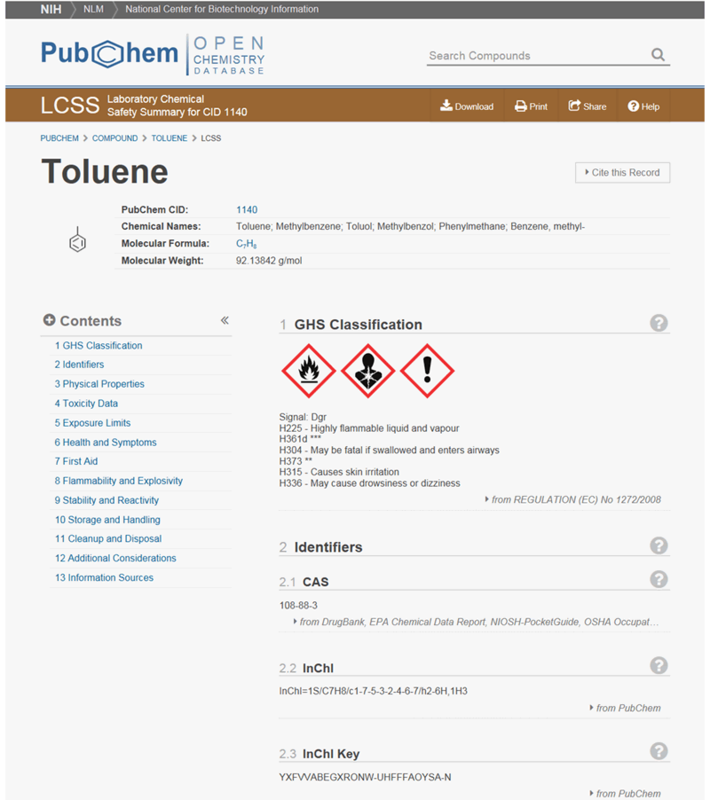 PubChem is an open archive of chemical substances and their biological experimental results. 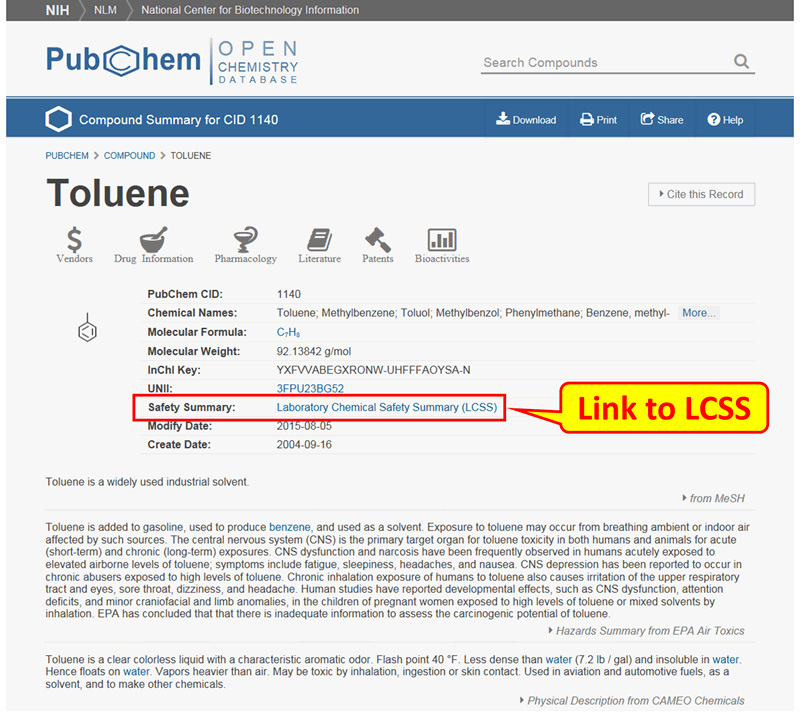 “Open” means that you can put your scientific data in PubChem and that others may use it. What kinds of chemical substances can you provide information about? All kinds, including small molecule chemicals, RNAs, carbohydrates, peptides, complex mixtures, natural products, and more. And you can also provide the results of your biological experiments with these substances. Appropriate biological experimental results include biological assay screens (such as phenotypic, whole cell, defined target, high throughput, dose-response, validation, etc. ), physical property measurements, and beyond. Maximize the benefit of your research. When research data is made publicly available, it helps to promote new scientific discovery. Other researchers can find your data, use it, and build upon it. This can lead to new research collaborations and improved insight into your results, thus helping to increase the impact of your research efforts and advance science more quickly. Link your data to widely-used biological and literature databases. 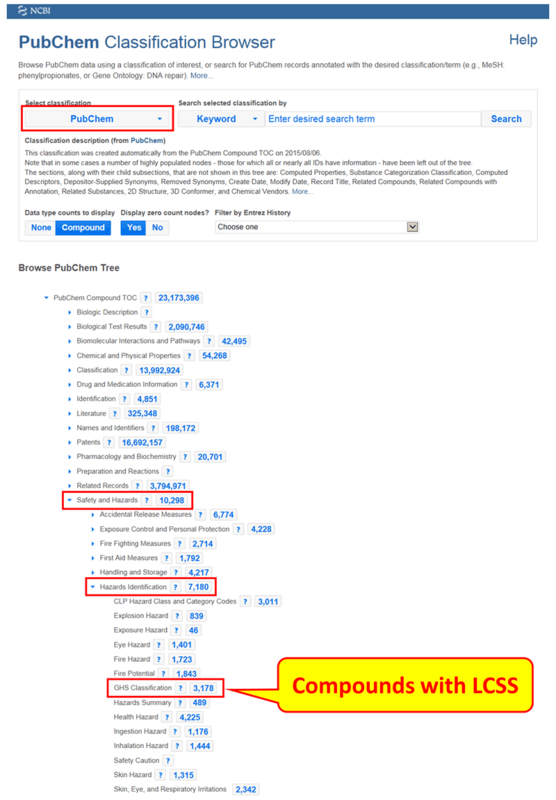 With the annotation provided with your data, and through behind-the-scenes processing at PubChem, contributed data records are cross-integrated with widely used public resources at the U.S. National Center for Biotechnology Information (NCBI) and the U.S. National Library of Medicine (NLM). For example, someone viewing your paper in PubMed will be able to rapidly access the related information you provided to PubChem or any of the other NCBI data archives (http://www.ncbi.nlm.nih.gov/guide/howto/submit-data/). Save time and effort in open-access data sharing. Maintaining your own data archive and user interface takes precious time and adds to research costs. Data sharing requirements by journals and granting agencies may be satisfied by use of the PubChem data archiving platform. PubChem provides high-capacity interfaces, so you know your data will be accessible. Given that PubChem is part of NLM, you can rest assured that your data will be preserved and available without (login or paywall) barriers, now and for the foreseeable future. Maintain control over when your data becomes public. Timing when you release scientific data can be critical. Release data too soon and you might not be able to file a patent or publish a paper. If you need to time the release of your data with the publication of a paper, the filing of a patent, or in coordination with a grant administrator, you can set a hold-until date of up to one year in the future. If anything changes, your hold-until date can be adjusted (shortened or extended). Share your held data with only those you choose. 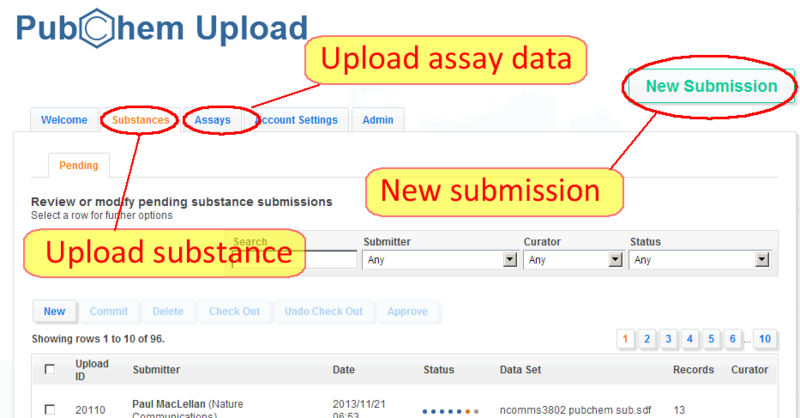 When you first submit data to PubChem, you are assigned stable identifiers for your substances and bioassays. 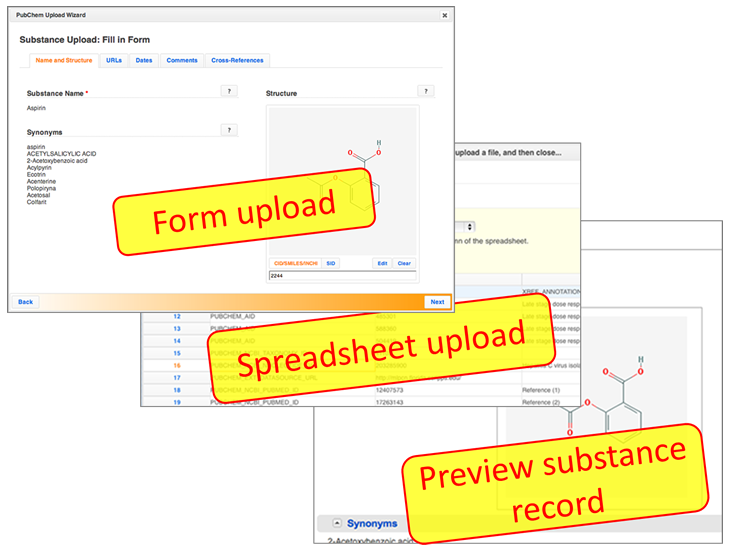 These identifiers can be used to prove that you have submitted data to PubChem even if the data are not yet publicly viewable. 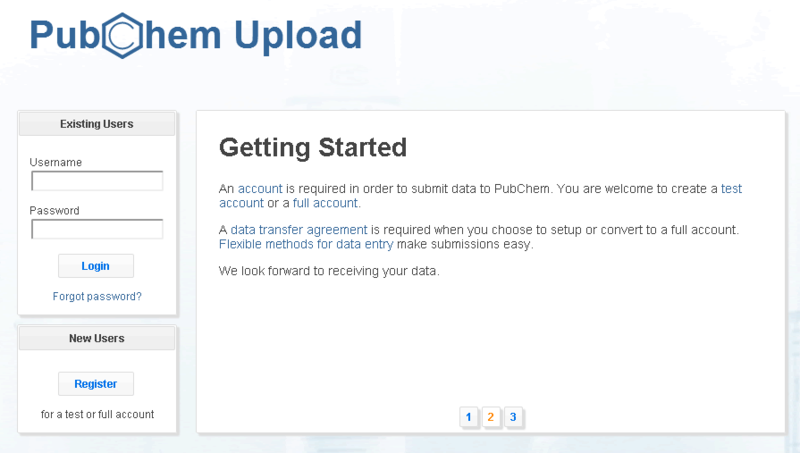 If your data are on-hold, you can login to your PubChem Upload account and dynamically create unique, private URLs to individual data submissions to share with reviewers and collaborators. At any moment during the hold-until period, you can delete access to these URLs. Sharing scientific data is important. 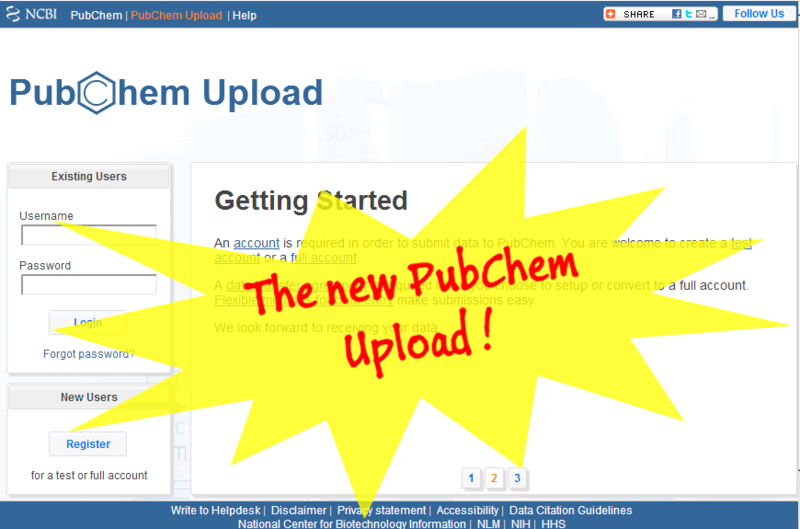 PubChem is upgrading its service to make it easier than ever to rapidly upload information about your chemical substances and biological experiment results. Scientific data, however, can be complex. 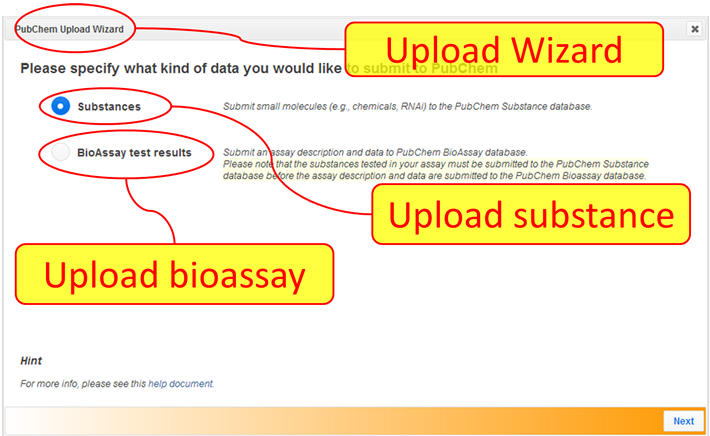 PubChem Upload provides wizards to help guide you through the process of making data public. In addition, use of standard spreadsheet formats and private FTP uploads for large datasets help to streamline data submission. If you have any questions concerning these topics, please contact us via email at pubchem-deposit-help@ncbi.nlm.nih.gov.